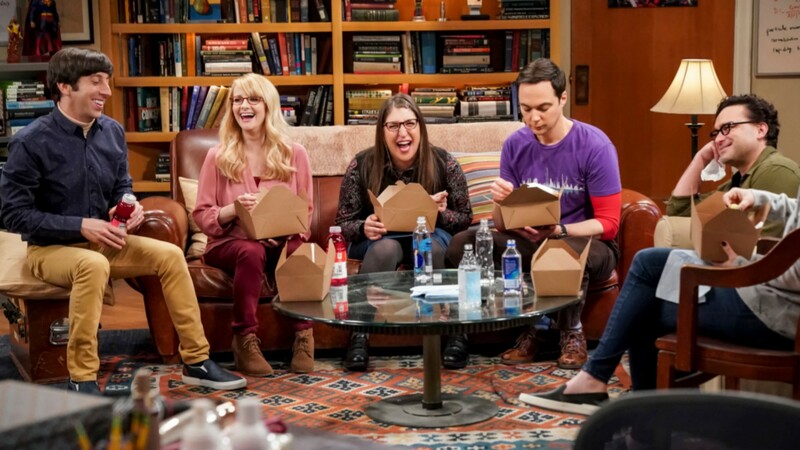 As the final episodes of The Big Bang Theory premiere on CBS and the last weeks of season 12 arrive, both the cast and the fans have been preparing to say goodbye — but it hasn’t been easy. Thankfully, it looks like the cast has been aware of just how hard saying goodbye to a show as massive as this one really is, because the Big Bang Theory cast performed their final flash mob after wrapping earlier this week, and Kaley Cuoco shared the video of it with the world. The TBBT cast has had a long-running tradition of performing surprise flash mobs in years past, so it wasn’t entirely unexpected that they would all come together after wrapping on filming one of the final episodes to bring some joy into the world. That said, this flash mob carried a bit more emotional weight because, of course, this is the last-ever TBBT cast flash mob that was performed on the TBBT set. Cuoco posted multiple videos taken from different angles on Instagram on Wednesday. One of the posts actually includes multiple videos showing how the cast broke out into a choreographed dance to Backstreet Boys’ “Larger Than Life” that took them months to prepare. Cuoco posted a sentimental caption explaining how it all went down. Aaand now we’re all kinds of verklempt! In addition to a handful of posts dedicated to showing fans the flash mob from every possible angle, Cuoco posted a sweet video showing TBBT creator Chuck Lorre on FaceTime watching the cast perform for a final time. With TBBT set to officially end in May on CBS, its moments like these that make being a fan of the show a bittersweet affair. We’re in awe of the flash mob this cast put together and, if anything, it’s a testament to how close they are that they were able to seamlessly pull it off.